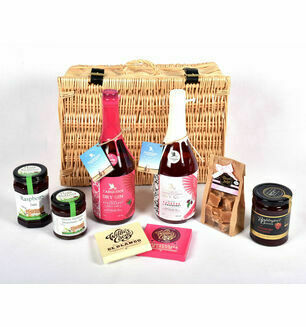 A delicious chocolate hamper full of handmade, luxurious sweet treats from Devon And Cornwall that chocoholics will adore. 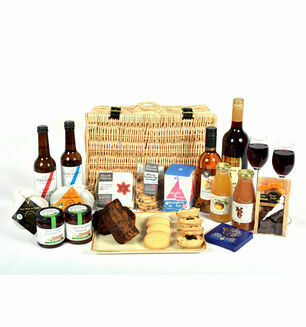 Wonderfully presented, this hamper basket will make a lovely gift for someone special. 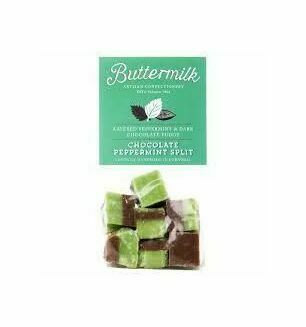 Cornish Buttermilk Peppermint and Dark Chocolate Fudge 175g - Layers of chocolate and peppermint fudge deliciously set together. 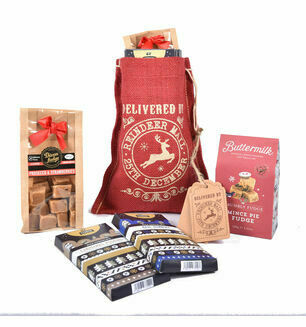 Handmade Devonshire Chocolate Orange Fudge 150g - Traditional fudge made with butter and cream to give a rich and mouthwatering chocolatey flavour. 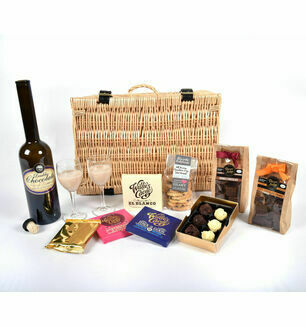 Handmade Devonshire Chocolates box of 6 - Rich and indulgent chocolates with a mix of dark and white. 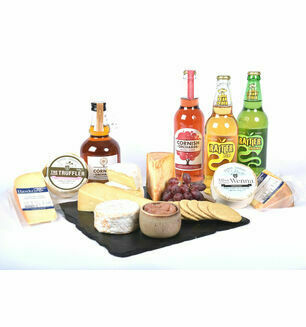 Willie's Milk Chocolate 50g - Smooth and silky this Venezuelan milk chocolate gives you a taste we know you will adore. 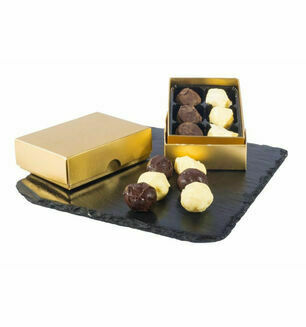 Willie's White Chocolate 50g - White Cacao chocolate giving a sweet and fruity taste for you to enjoy. Willie's Chocolate Raspberries & Cream 50g - White chocolate and raspberries go hand in hand. 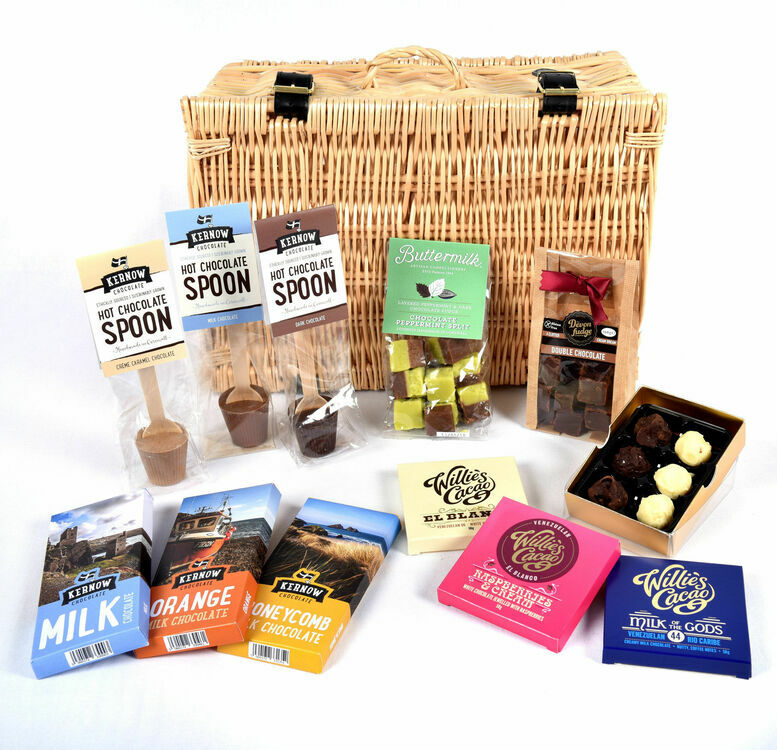 Made with the finest white cacao and 100% natural raspberries for a moreish chocolate treat. Kernow Dark Hot Chocolate Spoon 37g - For the ultimate indulgent hot chocolate, relax in front of the fire with this delicious hot chocolate spoon. Kernow Creme Caramel Hot Chocolate Spoon 35g - Perfect for cold winter nights, this creme caramel hot chocolate spoon will give you a luxurious and ultra smooth treat. 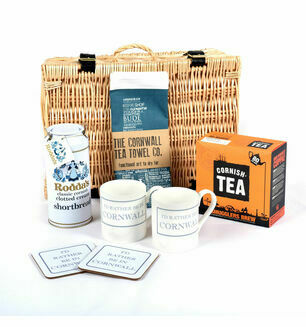 Kernow Milk Hot Chocolate Spoon 35g - The ultimate sweet treat, simply stir your hot chocolate spoon in to hot milk and watch it dissolve. 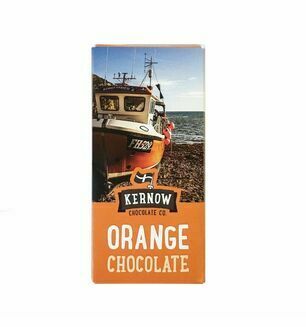 Kernow Orange Milk Chocolate 95g - Made using natural orange, this zesty chocolate bar is the perfect addition to the ultimate chocolate hamper. 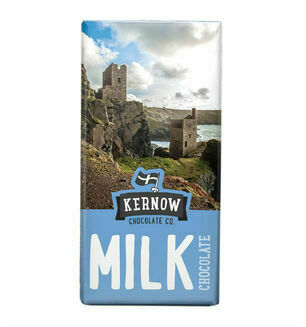 Kernow Milk Chocolate 95g - Smooth and creamy, this delicious bar has been made from ethically sourced cocoa. Kernow Honeycomb Milk Chocolate 95g - Laced with shards of honeycomb to give this smooth chocolate a sweet and crunchy texture.